This article is 2591 days old. 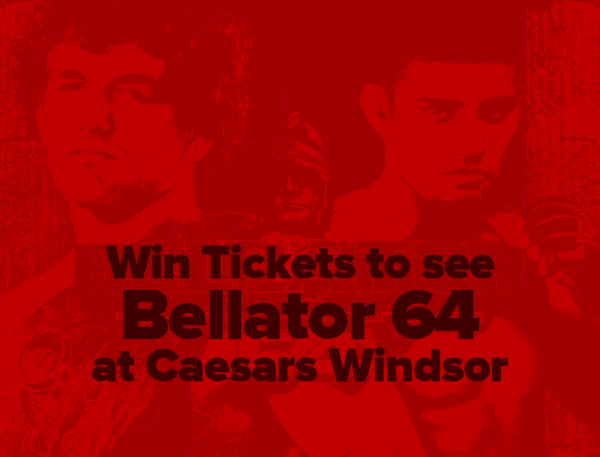 windsoriteDOTca is giving away three pairs of tickets to see Bellator 64 — Askren vs Lima — live at Caesars Windsor! Our second winner of two tickets to see Bellator 64 at Caesars Windsor is Karah-Leigh Legault. Bellator Welterweight World Champion and former U.S. Olympic wrestler Ben Askren will defend his belt against his greatest threat to date, knock-out artist Douglas Lima on Friday April 6th at Caesars Windsor. There are still two chances to enter! We’ll randomly draw winning names on Friday March 9th, Friday March 16th, Friday March 23rd 2012 to each win a pair of tickets to see Bellator 64.